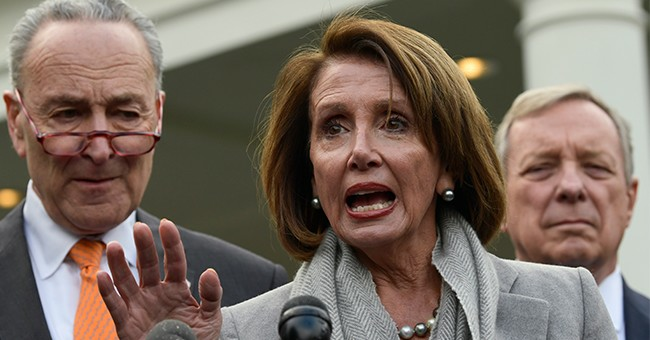 House Speaker Nancy Pelosi and her fellow Democrats are pretty enraged President Trump cancelled their taxpayer funded trip overseas -- in the middle of a government shutdown -- at the last minute on Thursday. In fact, they were already sitting on the bus ready to go to the airport. But it turns out these taxpayer funded Congressional Delegation [CODEL] trips lead by Pelosi have been pretty fancy in the past. She's also a habitual abuser of taxpayer funding and the military for personal use. Back in 2008, Judicial Watch exposed the Speaker for lavish spending on booze and free trips for spouses on military planes.
.@JudicialWatch exposed this all nine years ago....doing the work of media back then, too. In the meantime, Pelosi apparently tried to leave the country for a second time after President Trump canceled military aircraft for her trip on Thursday. The White House repeatedly asked her to sit down and negotiate a deal to end the current shutdown.